By using gold foil in your print materials, your business can elevate its reputation and improve the way it’s perceived by consumers. We associate gold with money and class so by using it in your print marketing, customers will see your business as one that’s professional, sophisticated and a good prospect to work with. Gold isn’t a colour we come across that often. So when we do see it, we can’t help but be attracted to its source. It’s a distinctive and eye-catching colour that makes your printed piece stand out from the crowd and your competition. It catches the light perfectly and draws the customer towards it. The more appealing the print, the more likely your piece is going to be read. Foil makes any design luxurious, high-class and expensive, even if it didn’t cost a lot to make. Because the design looks so good, recipients are less likely to ignore it or throw it away. We’re all a little guilty of discarding marketing materials. But with gold foil, your design just looks too good to end up in the recycling bin and is more likely to be looked at. Just as with any of the other printing techniques available, the finished product can be customised. Whatever your ideas or suggestions, the B&B Press team can help your vision to become a reality. 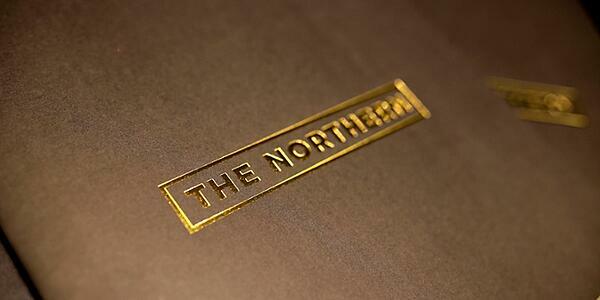 If gold doesn’t suit your brand or message, then there are a range of other colours available for your foil prints. Silver is popular with some high-end brands while rose gold gives the print a copper look that’s perfect for industrial themes. Take a look at our work with Salford University and Princess Motor Yachts to see how red and silver foil were used to great effect. 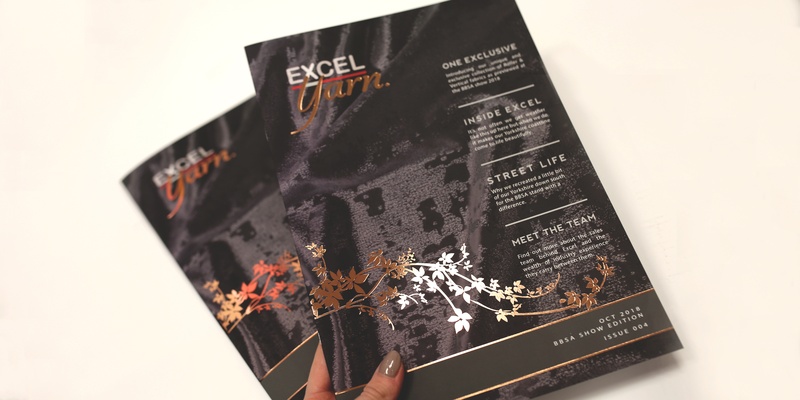 Foil printing can be used sparingly to create an eye-catching focal point that draws the reader’s attention to the most important information on the page. Or, it can be used to create a large design that elevates the whole piece, giving it a luxurious and sophisticated feel. Either way, the reader knows that this brochure, leaflet or invitation is high-quality and worth their time. 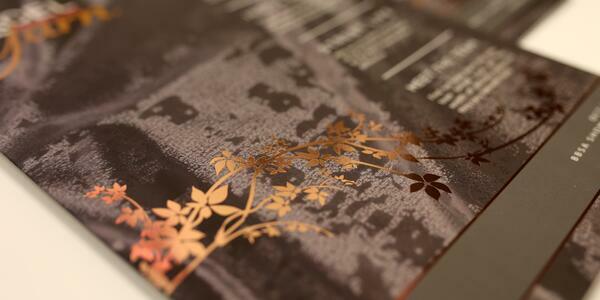 Over the last 60 years, B&B Press has worked on all kinds of creative projects, including gold foil printing. We’re experts when it comes to including gold in prints and can offer expert advice if you’re unsure of the design you’d like to create. Here are just two of the countless gold foil creations we’ve worked on. 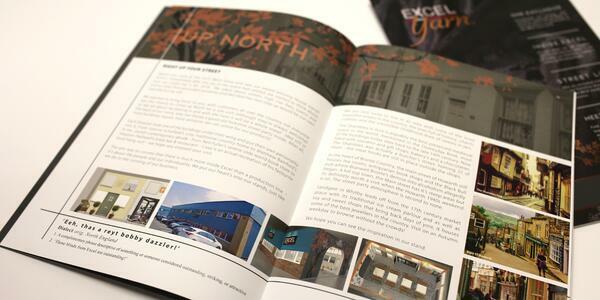 The Royal Northern College of Music tasked us with printing the first ever edition of the Northern magazine, created to celebrate the college’s alumni. We used our LED UV presses to print the magazine, delivering a highly vibrant finished product that reflected the musical nature of the college. By printing it in this way, we removed the flattening of images that are sometimes associated with uncoated stock. This made for a perfect finished product that was clean and effective. 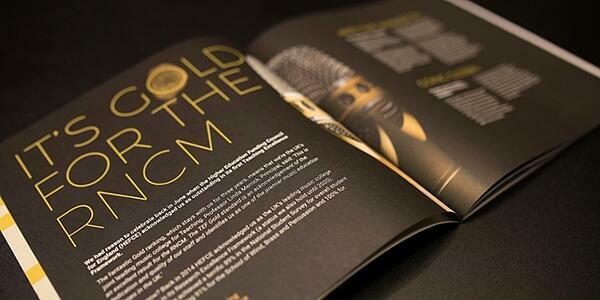 To give the magazine the ultimate luxury look and feel, we used gold foil printing for the front cover. The simple design gave the front cover a sophisticated feel, while the bright gold stood out powerfully against the all-black. Window blind and finishing specialists Excel Manufacturing tasked B&B Press with printing their magazine that was to be showcased at a major exhibition. They wanted to stand out from their competition and needed something that would immediately draw the eye. The magazine’s dark tones and matte velvet like finish created a sophisticated feel, but the rose gold foil elevated the design and demanded the reader’s attention. The Royal Northern College of Music and Excel Manufacturing jobs are just two of our absolute favourite jobs from the last six decades. They highlight how good pieces can look when completed with foil printing. For more ideas and inspiration, discover some of the other printing projects we’ve worked on in our Job of the Year Handbook. It’s packed with our favourite jobs and the techniques we used to carry them out. For your free copy of the handbook, click the download link below.